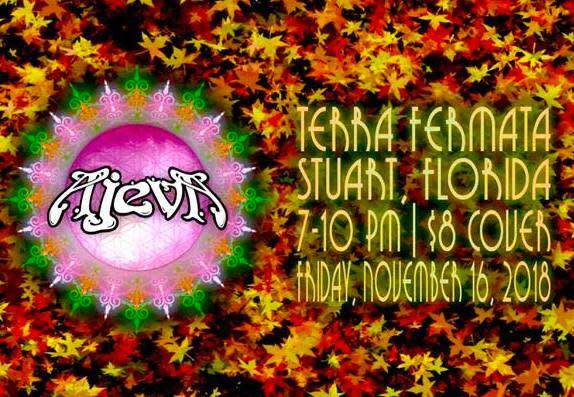 Ajeva (a-jay-vuh) is a Progressive Funk machine from St. Petersburg, FL. Ajeva represents the funk, the whole funk, and nothin' but the funk. Ajeva (a-jay-vuh) is a Progressive Funk machine from St. Petersburg, FL. Composed of Reed Skahill (lead vox, guitar, keys), Taylor Gilchrist (bass), Travis Young (drums), Mark Mayea ( keys) & Skyler Golden (lead guitar). Ajeva has been playing all over Florida and the South-East since March 2013 spreading their message of unity, peace and FUNK! With catchy vocals, infectious grooves, and a high energy live show Ajeva has the sound & vibe that will keep you watching and listening.